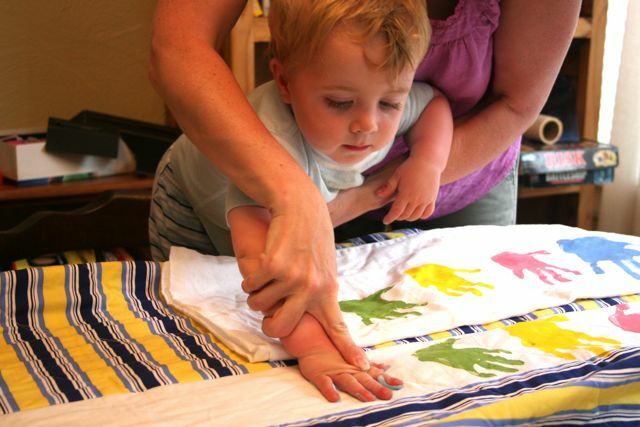 After I’d finished putting the binding on this quilt for my sister (and taken some photos, naturally), I had planned a craft project for the kids that would personalize the gift even further: placing their handprints and ages on the back of the quilt to commemorate our visit, to capture this one moment in time for me and my family. 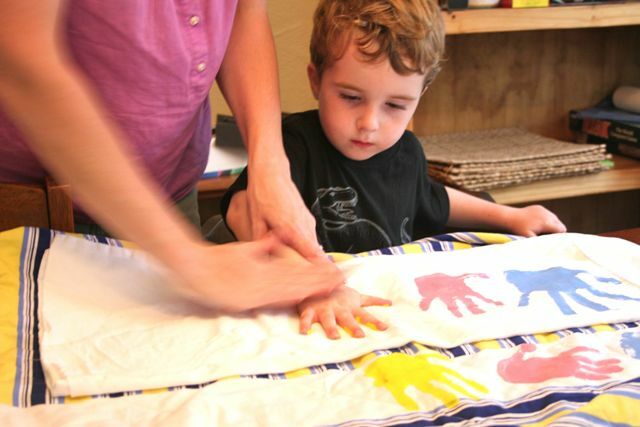 We used standard fabric paint on Kona cotton, smeared it all over the six cousins’ hands, and smooshed those little digits down on the fabric to make prints. We had only one two-year-old smear-y print, with all the rest coming out super clear. Not only did we do a row on the back of my sister’s quilt, I did the same on a piece of fabric that will be integrated into the back of the twin of this quilt, which I’m keeping for myself. That way, we’ll have a matching pair. Too gooey and lovey-dovey? Maybe, I don’t know. I know I really, really loved the way the quilt turned out, and I love the idea of not only having a memento for our trip but also something that ties me and my sister and her kids a little bit closer together. 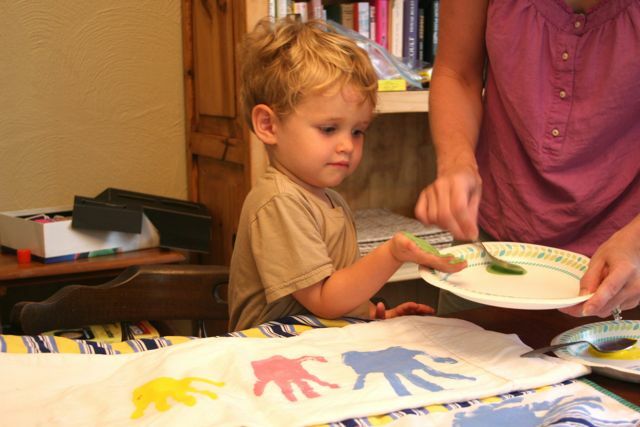 I’m adding a text inscription beneath each little hand print–more details when I get my twin quilt finished! I think that’s lovely! What a wonderful memory. I can’t wait to see!